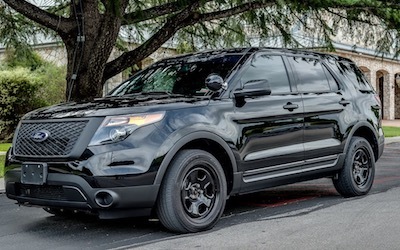 The Ford Police Interceptor Utility vehicle is a Ford built vehicle used by police forces all over the country. This Ford is required to perform at high speeds while offering handling and maneuverability, as well as being safe and soundly built. With this type of use, parts will need to be replaced. At FordPartsOnSale.com, we carry a large selection of parts for Ford vehicles dating back to the 1980s. We also offer wholesale pricing and fast, affordable shipping. Ignition Coils – The ignition coil helps your vehicle start when you turn the key. Your engine may not turn over if the coil has gone bad. We carry ignition coils, starters and more. Alternators – If your vehicle is losing power, it may be a bad alternator instead of a bad battery. We carry replacement alternators and batteries. Brake Rotors – Brake rotors keep the wheel from turning when you brake, so the car may pull to the side if the rotors are going bad. We carry brake parts like rotors and more. Call us now at 585-475-1064 to speak with our highly experienced staff. You don't have to worry about dealing with inferior imitation parts that could put your safety at risk because we only carry genuine OEM Ford parts. FordPartsOnSale.com has the parts you need to keep your Interceptor running at high speeds. Shop now.